n. The state of truthfulness and trustworthiness. Fairness in dealing. The absence of fraud or deceit. n. A pledge. The state of being bound to a course of action. n. Rigid adherence to a code of behavior. The state of being unimpaired; soundness; completeness. 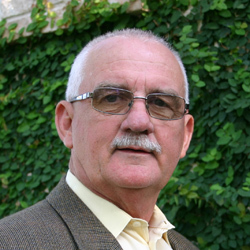 Mike Bubela, Real Estate appraisal specialist in the general Houston area, has an extensive background that includes residential, commercial, industrial, and litigation. With 35+ years of practical experience, he has demonstrated his abilities and proven himself capable of preparing appraisal reports of the highest professional standards. Mike holds the State Certified General Real Estate Appraisal Certificate for the State of Texas. M Bubela and Associates, LLC. has a commitment to client service, and is fully staffed with a wide range of capabilities to meet all appraisal needs efficiently and expertly. Call 713-983-7889 for more information. When do clients need our services?